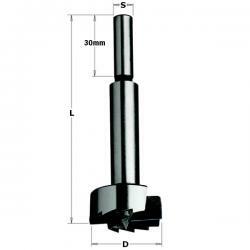 CMT offers a wide selection of Forstner Bits for drilling flat holes, overlapping holes and angles. Browse our selection of CMT individual drill bits for Forstner Bits ranging from 1/4” to 2-1/8”. Click add to cart and add a long lasting cutter with precision ground cutting edges to your collection today.